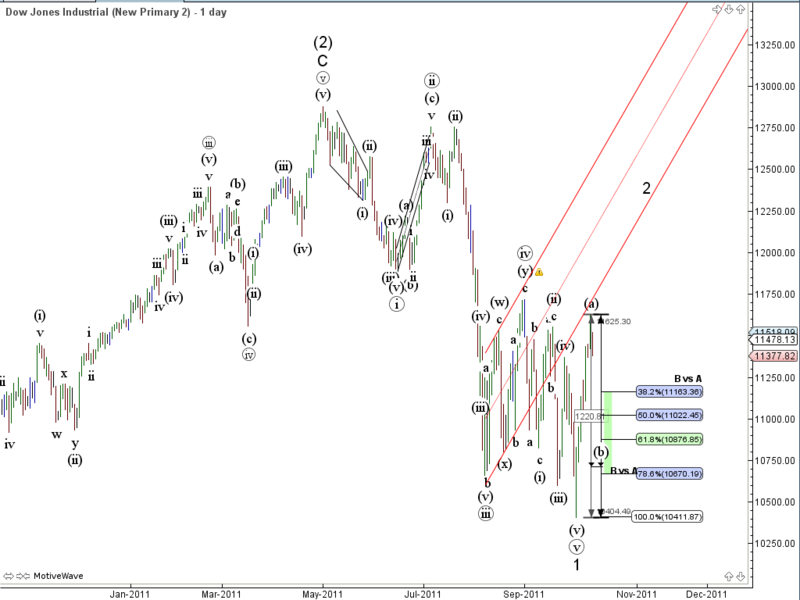 One of our Elliott Squawk subscribers just turned me on to a great new charting package, MotiveWave. It’s pretty easy to grow immune to hype when it comes to claims made about trading products, but for Elliott Wave counters this thing ROCKS!!! Really! I can’t tell you how much time I spent copying wave labels from one timeframe to another before I had MotiveWave. Now those days are over. I told you before that that MotiveWave understands your wave count; well, it uses that knowledge to tall you when you do something that you might want to reconsider. So if you draw in an ending diagonal where wave 4 doesn’t overlap wave 1 it will tell you. In fact, it knows all the wave rules and will remind you if you’ve overlooked something. Pictures don’t do justice to the Fibonacci extension and retracement tools in MotiveWave, but let me tell you that they’re the most functional and context-aware Fib tools I’ve used. In fact, there’s just about every tool a wave counter could ask for to make counting efficient and effective. But perhaps one of the coolest aspects of MotiveWave is its ability to count waves on its own. Yes, you read that right, if you don’t want to do the counting the software will give it a try. In my testing, it’s accuracy is so-so. I wouldn’t trust it to do my counting for me, but the auto-counting feature can be a tremendous time saver. One of the ways I use it, is that I sketch in the high level count and then ask MotiveWave to fill in the details. Then I just review the details. On occasion I need to change what it proposes, but this overall approach saves me a a huge amount of time. Now, the platform isn’t perfect, but I’ve given up looking for the perfect platform. I use different tools for different jobs. For wave counting I’ll be using MotiveWave from now on. From my perspective the most significant thing that it lacks is FibGrid, but for the time being MotiveWave does not allow users to write their own studies. However, the folks who make the software have told me that if we send enough customers their way that they can work with us to add the capability. So if you do check out the software, be sure to use our links so they can count us and know how many of us there are. And trying it out is probably the best way to discover everything that the software can do. MotiveWave offers a free 14 day trial. I’m using the Ultimate Edition which contains all the Elliott Wave tools. I’ve been using Motive Wave for about a week now. I love the charts and the analysis tools and drawings it provides. 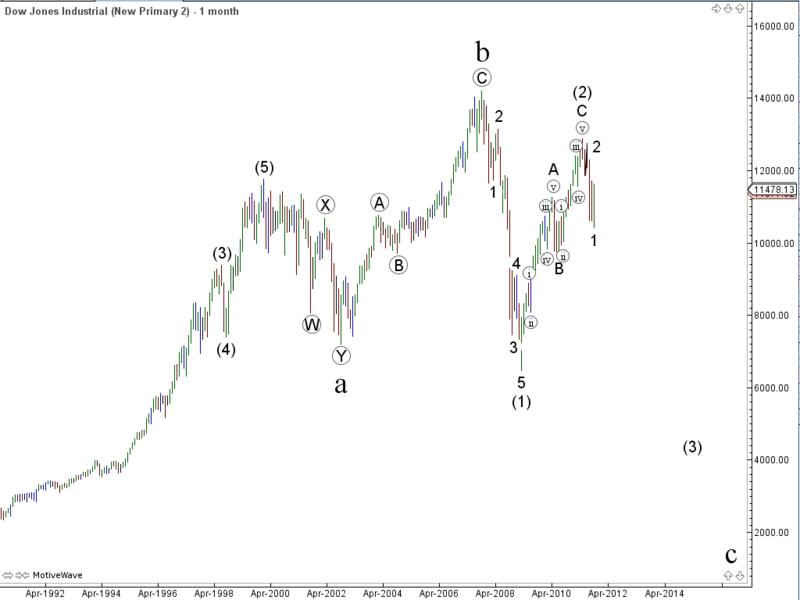 It has lots of fib ratio tools, Gann tools and Gartley available along with the Elliott Wave lableling capabilities. It also has lots of technical studies available that I haven’t seen elsewhere. Just like any new charting platform there is a learning curve, but after a week I’ve become real confortable with using it. Try it, you’ll like it.